Here's a great way to savor the Holidays by adding a little sweetness to your life! Or is it make the Holidays sweeter by savoring the moments? Either way we slice it- this is a nice way to add some extra whimsy and love to your loved ones in life! Looking forward to different Holidays is something that adds a little extra magic in life for kids- small and tall! One fun thing to do is incorporate holiday themed treats into your weekly Family Home Evening or Come Follow Me home study times. We had a group for a number of years that gathered together at different times through the weeks/months of major holidays and enjoyed a few hours putting together different treats to take home to our family members. Most of the time it's a Monday morning, so the treats can be enjoyed on family night. Sometimes the treats/snacks are extravagant and sometimes just a simple fast baggie of trail mix or drink with a fun printed holiday saying or color. 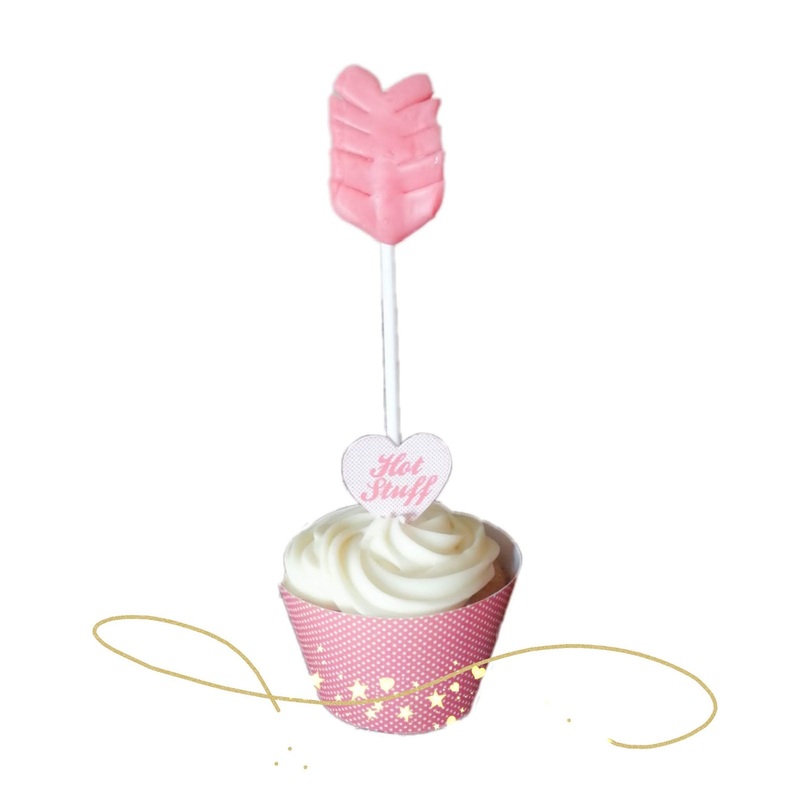 It doesnt alway need to be over done or cupcakes dont have to be frosted perfectly for little ones. It's more about the idea of it and the fun of it and the just plain DOING it without the overwhelm. 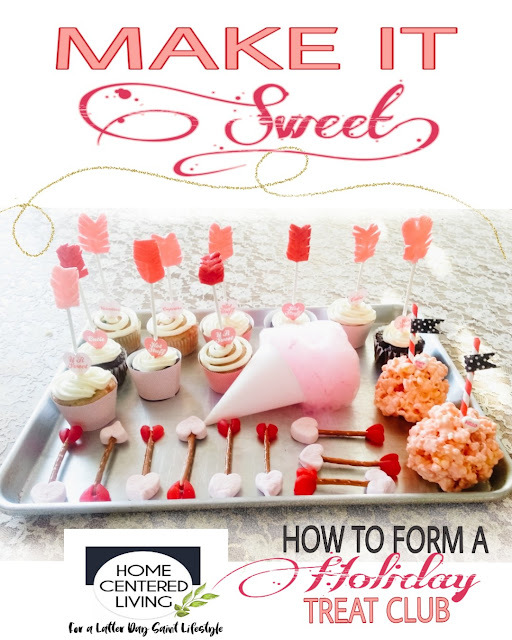 5 STEPS TO FORMING A TREAT CLUB with friends, sisters or neighbors or for working mama's you can even successfully do this with others at your work. Make a list of those who you would like to invite to your group. The first thing to realize is that it's better to keep a group like this on the smaller side- because as you buy ingredients and produce the food or treats, it needs to be a feasible number for finances as well as preparation time. Also remember to think of those who enjoy this type of thing also. Some people just arent interested in things like this. And that is OK! We all have our interests. Find those who celebrate life the way you do! 2. DECIDE WHEN AND HOW OFTEN. Depending on the Holiday you may want to meet just one time. Either the Monday before the Holiday or the day before are good times to produce these fun items for your loves ones. For example- Valentines is a Holiday where we decided to meet just once. Where Halloween and Christmas was fun to do 2 different weeks of treats (we actually made a few fun dinner items for Halloween. Look for a future post about super fun ideas for that!!) You don't need to over do it. Or it won't last and won't be fun! 3. PLAN THE DATE AND LOCATION. Find a time that works best for everyone. Generally a 1 to 2 hr time frame is plenty. This will depend on what treats or snacks are on the agenda. What can be prepared ahead of time or needs to be assembled at the time. This is fun to do! Look on line, on pinterest, or food magazines. There's ideas everywhere! Remember it doesnt have to be about sugar sugar sugar... healthy snacks are great to have! Savory or sweet- it's the thought that can't be beat. Each member of the group usually comes up with one food idea to do. Then we usually narrow it down to a few treats and assign 1 or 2 people to be in charge of purchasing and bringing those items. Enough for all the members involved. So if Sally has 4 in her family and Wendy has 5 and so forth- whoever is in charge of, let's say popcorn balls, would bring enough popped popcorn and ingredients to make the sweet coating on them for Sally's 4, Wendy's nine and their family as well. Make sense? They will do the same with what they bring for assembly.